So I left you all at a bit of a cliff hanger! 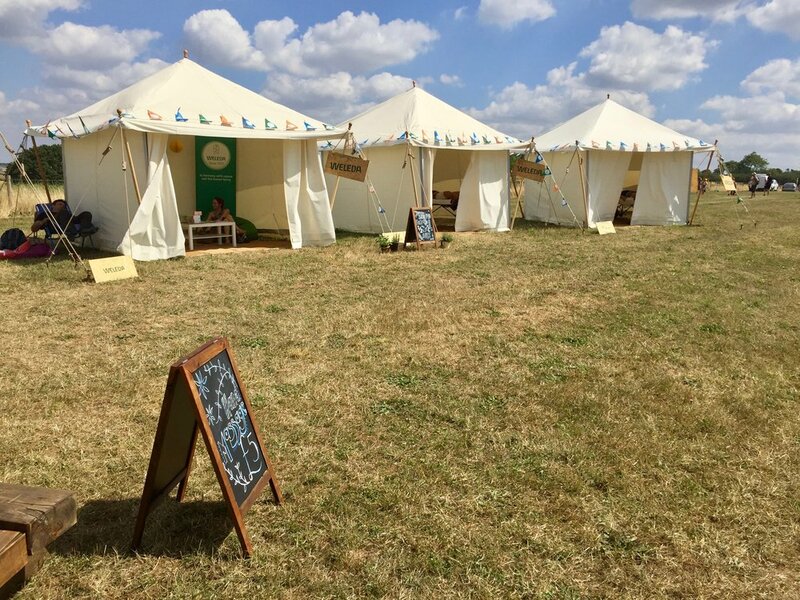 And if that sentence confuses you, you obviously need to go back and read part one of this post on the wonderful Valleyfest. After a few too many drinks, a bit too much sun, late nights (although late for me is anything past 8pm haha!) and very early starts, Sunday was a bit …hard.. for want of a better word. Thankfully I had a facial booked in with Weleda. And I don’t think I could have planned it at a better time. 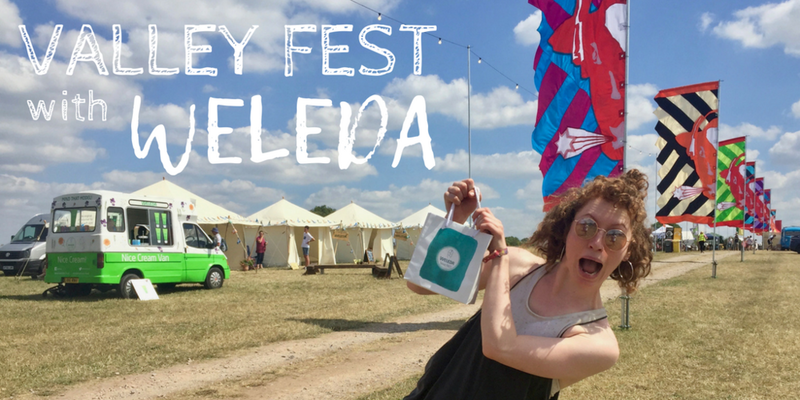 I was welcomed by the friendly Weleda Advisors and given an amazing goodie bag, before being ushered into a beautiful tent where my massage couch was waiting…..
My advisor, Megan, talked me through the treatment, completely putting me at ease. I took off my dusty sandals and lay back on the cosy bed. The tent entrance was slightly flapping in the breeze and someone somewhere was playing some awesome funky 80s tunes. The setting was perfect, and then the treatment was cherry on top. 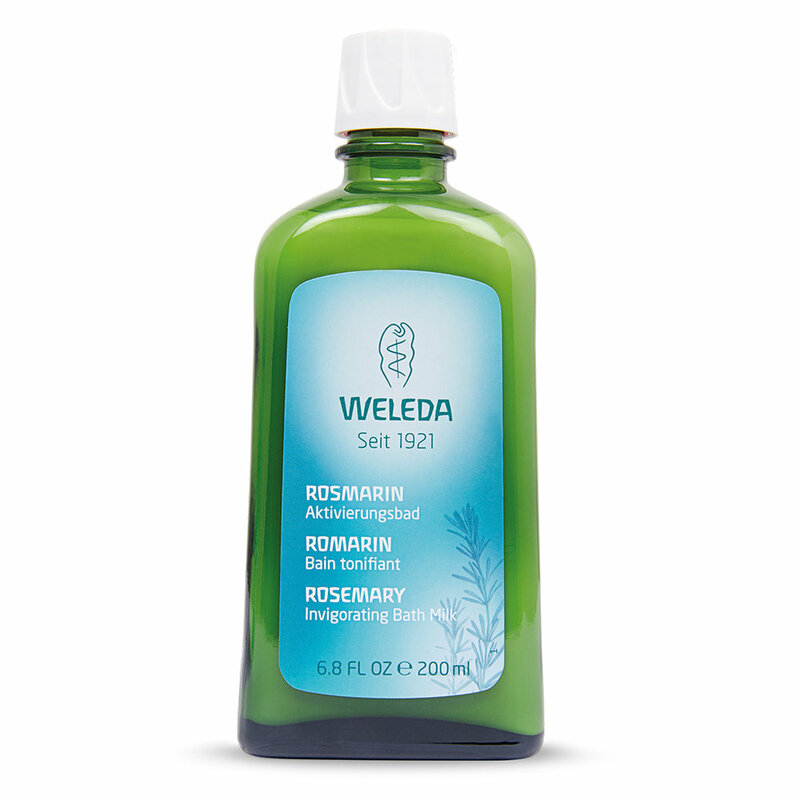 Weleda’s Skin Food is now legendary in the beauty world. Skin Food contains calendula, chamomile, rosemary and lavender, as well as some beautiful rich waxes and plant oils. It works HARD at restoring tired, dry, errr dare I say hungover skin. The Weleda Skin Food Facial uses Skin Food as the star, as well as some carefully chosen products to work in synergy with it. It was just what my parched skin needed!! After my lovely Weleda therapist Megan made sure I was comfortable, she applied hot towels to my face. These had been soaked in with hot water and the Weleda Rosemary Bath Milk. The aroma was incredible. I felt instantly invigorated and my air ways felt clear – you know, that lovely feeling when you can breathe easy? That! So refreshing after a few days camping! 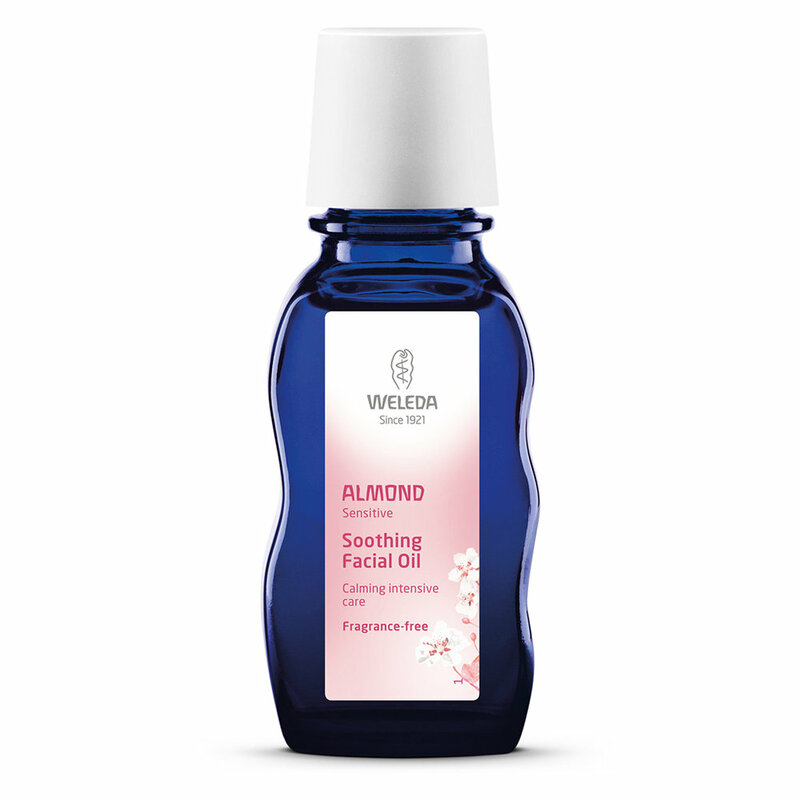 The delicious smelling Almond Soothing Cleansing Lotion was then applied to my face and neck with gentle massage movements. Then all my festival grime got swept away. Megan applied a little Almond Soothing Facial oil and then started to massage my face. My face is my very favourite place to have massage – I find it relaxes my entire body. Megan used long, leisurely movements and I quickly fell into that amazing place of relaxation where you aren’t quite awake, but aren’t quite asleep… and everything… just.. feels… great. The massage was over, but fear not! the luxury continued as a layer of warmed Skin Food was spread generously on my face. I lay listening to the gentle music coming from the main stage, and could hear children laughing on the fairground rides. The aroma was beautiful and felt completely chilled, sinking into the soft towels on the bed. I could smell the Lavender Bath Milk coming from the hot towels before they even touched me. It’s calming scent gently roused me (which is a relief as before the facial I was a little worried I would just fall asleep and they’d end up having to forcefully remove me from the massage bed…) The hot towels removed the excess Skin Food, leaving my skin comfortably nourished. To finish Megan applied a little more of the Almond Soothing Facial Oil. Lightly massaging it in, then softly touching my shoulder to let me know the treatment had ended. She talked me through the products and then led me back to the main Weleda tents were I could have a little relax before stumbling off, drunk on Weleda. The Weleda Skin Food Facial was wonderful. It was obviously such a lovely thing to do at a festival, it really perked me up, and made me feel a little more human on that rather difficult (oopsy) Sunday morning. 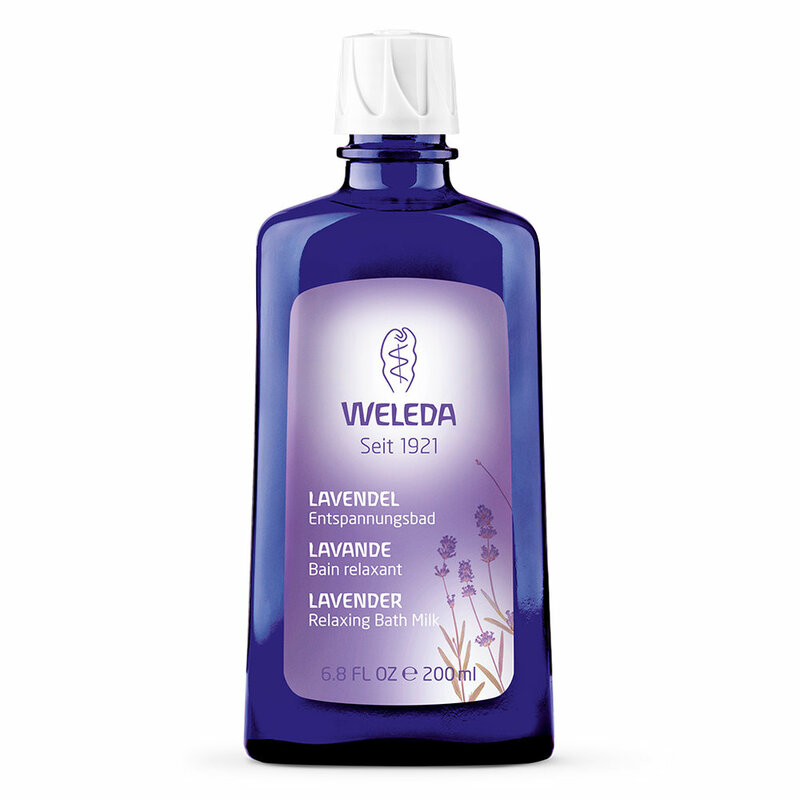 It was also a fantastic way to try out several of the Weleda products. I completely fell in love with the rosemary bath milk, and believe you me, that WILL be making it’s way into my bathroom very soon. So all in all, I think I (and my family!) had a grand old time at Valley Fest, and honestly that facial was just blissful. 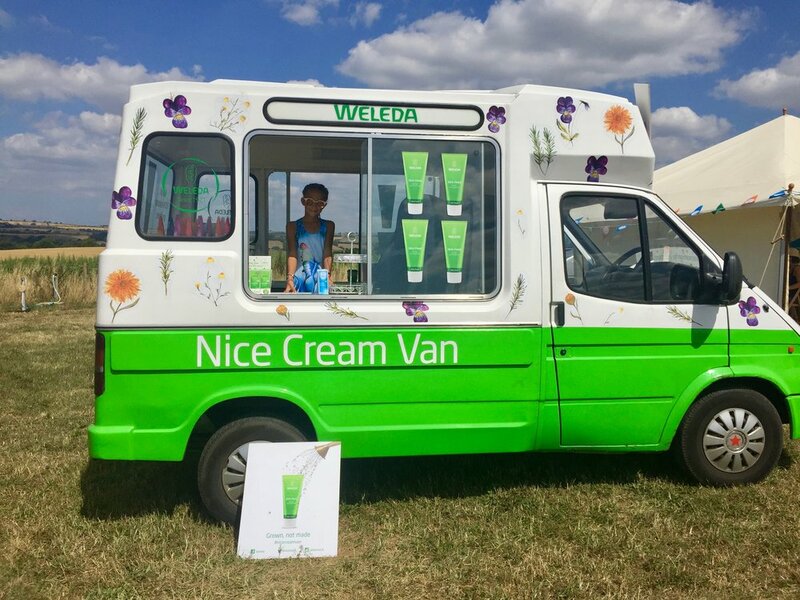 so many thanks to Weleda, Megan and Abi at Weleda tents, Valley Fest and my lovely friends and family that made it such a festival to remember. I think we’ll be back next year!